In today's shorter than usual show, I make some important announcements and give some tips for getting faster going down hills! Alzheimer's Benefit Ride in Farmville VA! In today's show I break down Olympic rock climbing and why it presents challenges to US competitors. And, I tease you with a bit of my appearance on Front Lines MTB, a great show out Canada. Mountain Biking at Stokesville for First Time Visitors! Regular listeners know I love riding in the George Washington National Forest west of Harrisonburg, Virginia. I get a lot of requests for suggestions for first time visitors to the area. Over time I'll add to this list with more recommendations! Enjoy. GW National Forest is backcountry riding, with all the hazards and risks such riding entails. Be prepared with lots of water, spare tubes, tools, food, first aid, and a map. For a discussion of what to bring in the backcountry, check out this episode of my podcast! Narrowback Mountain Loop: You can easily ride from the Stokesville Campground, the trail head is about 3 miles of mostly flat gravel/pavement to the singletrack loop described below, which itself is about 13 miles and is simply fantastic. 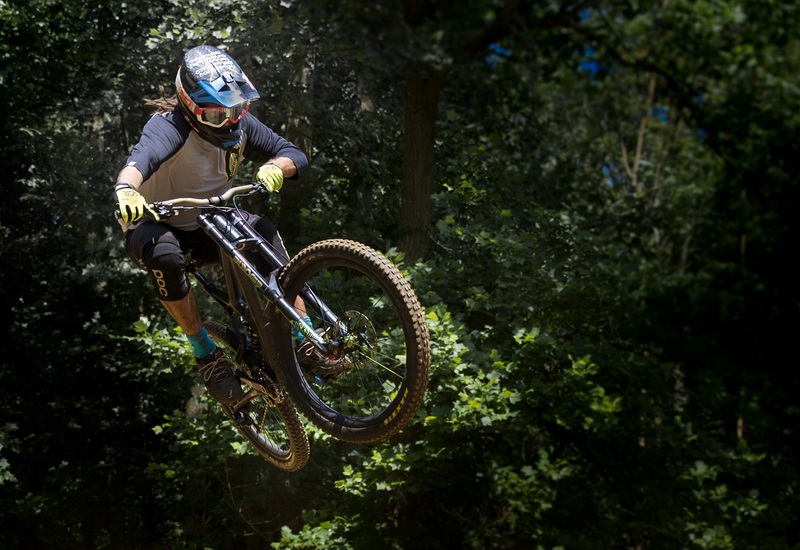 It has a something for everyone: Narrow, old school cobbly ridge riding, long flowy descents, a fire road that's fun and a welcome respite in the middle, enough rock gardens to keep it interesting, but not a body basher. A real classic. This map starts the ride from a parking pullout on Tillman Road. For a great shorter route, at mile 2.5 from that pullout, you can turn right onto Tower Trail in the below loop and just do the last half of the route, a great option for an evening ride or newer riders. Lookout Mountain: The other classic loop right out of Stokesville Campground goes directly west from the upper campsites, and first tackles a short but very steep climb, to a fire road for a mile or so, then another hard climb called Schaeffer Hollow, then the famous Lookout Mountain descent. 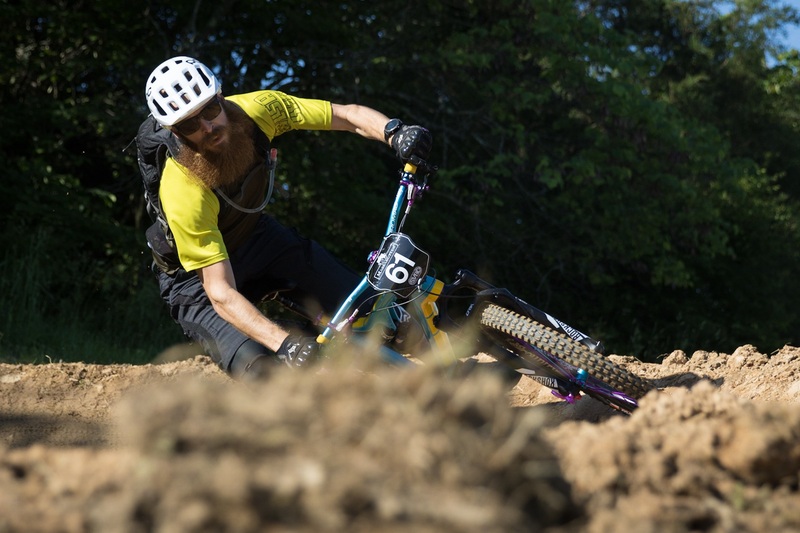 With its fast downhill rock gardens, beautiful views, fast chundery chutes, this is a must do. Reddish Knob: The summit of Reddish, when not shrouded in clouds, reveals one of the greatest views in the Shendandoah, with the wrinkles and folds of the range spun out all around you. There are probably two Reddish Mountain loops to consider on your first GW weekend: For a bigger ride you can climb the long road to the summit, it is actually a nice road to ride up, but if you aren't in good solid shape it can exhaust you for the singletrack, which is mostly downhill with a few steep short climbs. The upper ridge, Timber, is rough, narrow, old school trail with a long rock garden up high, fast chutes, and relatively technical terrain. The lower ridge, Wolf, is amazing "rocky flow" with fast whippy turns and cool downhill rock gardens. Less rocky than Lookout Mtn descent, as a reference. People often shuttle to the summit of Reddish to do Timber/Wolf and avoid the road climb. There are trail climbs too, but they are pretty epic and maybe not the best choice for your first visit. Stokesville 60/40 Breakdown, and What's Your Thing? The Stokesville 60/40 ride (it's NOT a race, lol) was a fantastic day out riding bikes with friends and I more or less met my goals and expectations. Hear about that, and a discussion of how to overcome a lack of self awareness in today's show! 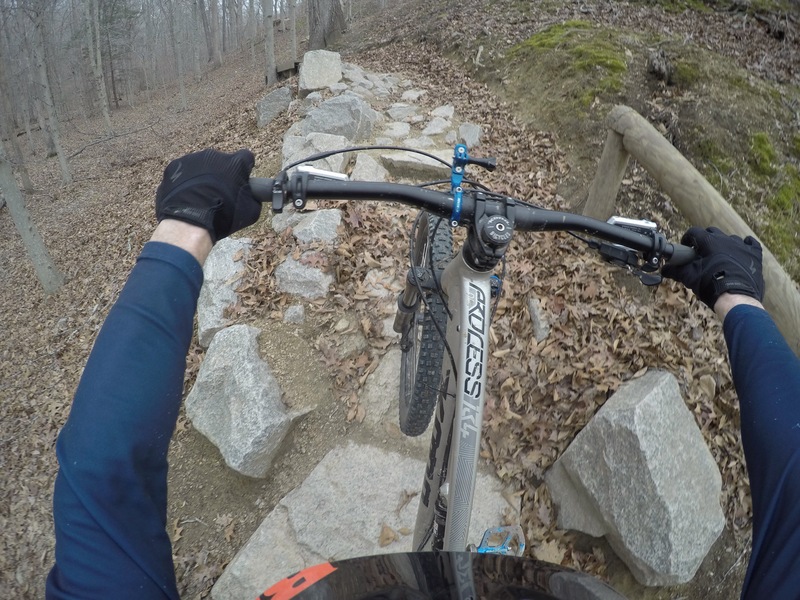 Today I talk about bottom bracket replacement, Bentonville AR, and the dumbing down of trails. 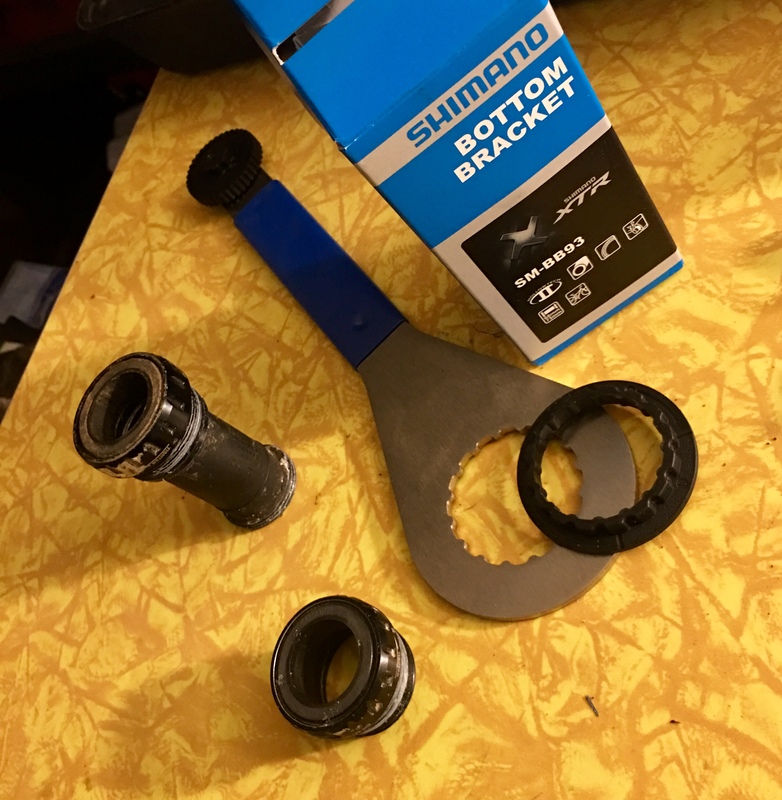 Here's a picture of my old threaded bottom bracket, the BBT-9 Park tool, and the insert for it that came with the new bottom bracket.